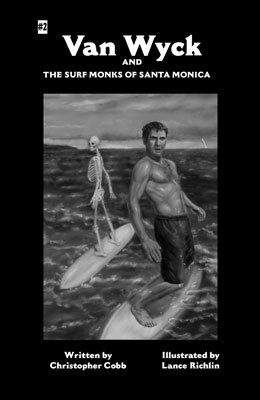 In this hotly anticipated sequel, the detective Van Wyck returns to infiltrate a potential terrorist threat—the surf monks of Santa Monica. Filled with more questions than answers from his last mission, he begins to see a connection form between the two mysteries. Are these meditative social drop-outs as innocent as they seem? Or is some unseen hand at work, shaping them into agents of a new apocalypse?